FOR THOSE WHO PREFER THE SINGLE LIFE. Things were much simpler then. Most of us got started in the field with a single shot and, because of its dependability, ease of use and affordable pricing, it's still considered the perfect beginner's shotgun. The fact is, the single shot is a great all-purpose shotgun and we offer four solid performers to choose from - Blued Field, Nickel Field, Sporting/Trap and Youth Vent Rib. These single shots are rugged, smooth-handling guns we produce for a modest price without skimping on features. One shot, one choice: Remington SPR. A WEALTH OF APPLICATIONS. NO WEALTH REQUIRED. This lineup is forged in tradition and old-world craftsmanship, but built to take on the diverse pursuits of today's multifaceted hunter. First, the head-turning over-and-under shotgun/rifle combination. It's an amazingly versatile combination of short-range knockdown and long-distance precision. 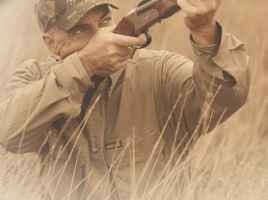 Side-by-side rifles have long been the choice of the hunter on safari, and Remington now makes this compelling classic available to today's sportsmen. And finally, the time-honored single-shot rifle. Its simplicity, sleek lines and superior accuracy make it a favorite of those confident in their ability to make one bullet count. We're proud to offer a line of firearms anchored deep in our sporting heritage, yet built for modern demands and priced for everyone.